Happy Friday, dear readers! I hope you've had a wonderful week and have something fun planned for the weekend! I am just about to fly off to Los Angeles for The Makeup Show. I'll be writing up a post about it when I return, but if you want to see early sneak peeks, be sure to follow me on social media as I'll be posting throughout the event. You're not going to want to miss this! 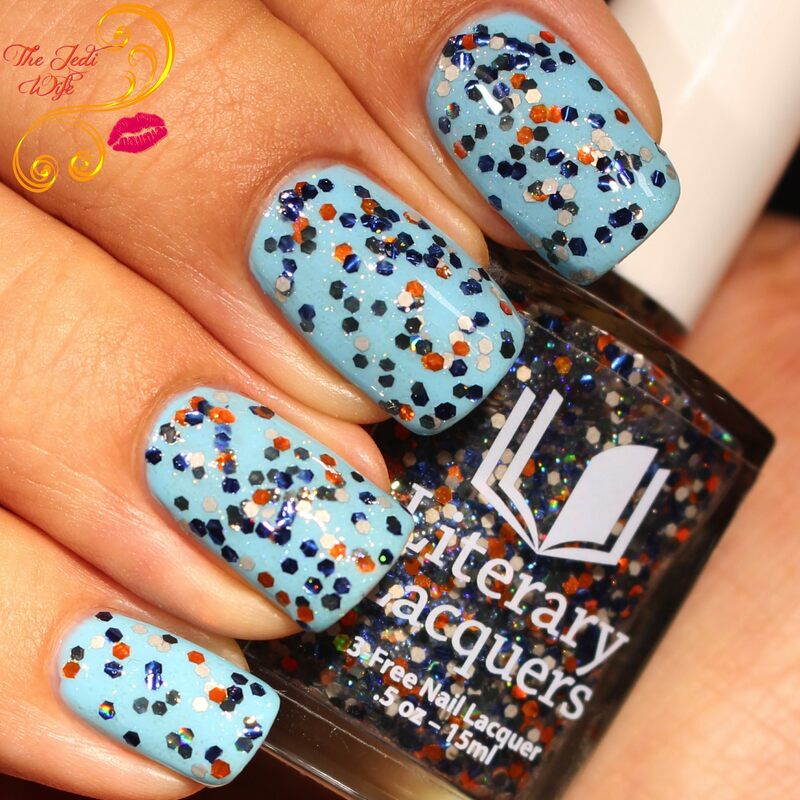 As for today's post, I have the new Faulkner Duo by Literary Lacquers to share with you. I had hoped to share these with you prior to their launch last month, but they arrived after the fires broke out and just before we evacuated. At least that means once you've checked out this post, you can head over to the shop and pick them up right away! Inspired by the "A Rose For Emily", the short creepy story by William Faulkner, and offers something different from the usual fall colours to decorate your fingertips. Let's get a closer look at the polishes in this duo! 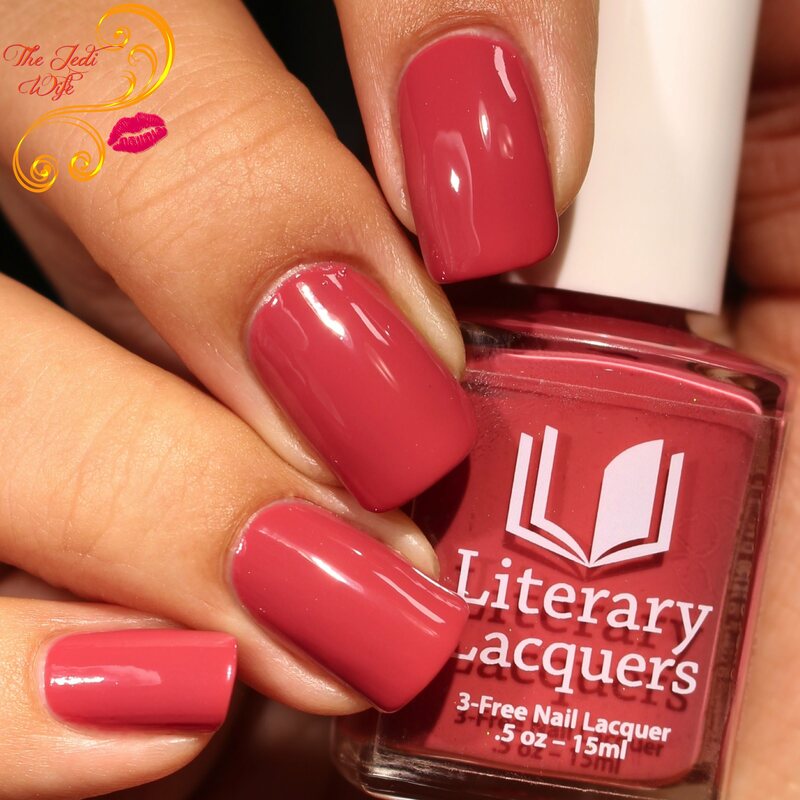 You can never go wrong with a classic rose-hued polish! 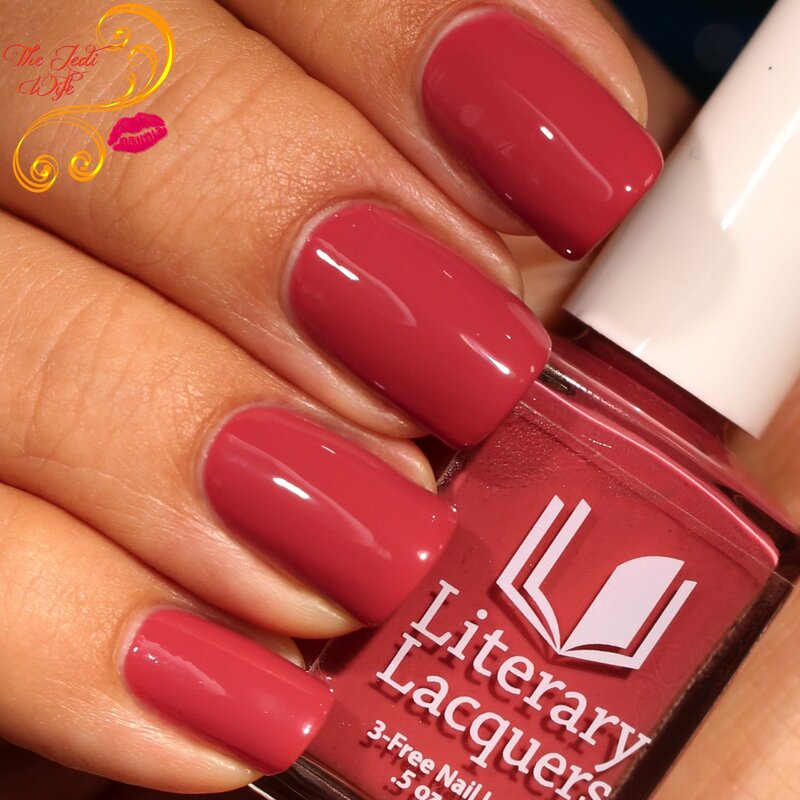 There aren't quite as many cremes in the Literary Lacquer lineup, but they are all so well done. Not too thick or thin, the formula is easy to work with, and I used two coats to opacity for these swatch photos. A clear holo sparkle and medium hex glitter in matte grey, holo black, holo orange, and metallic navy topper. While glitter nail polishes just don't seem to be as popular in the indie polish scene as they used to be, I still love to see what new combinations have been released. The Best You Have is a gorgeous blend that reminds me of my high school school colours! Of course this beauty is referring to Emily's choice of preferred poison when speaking to the shopkeeper. I have it shown here with approximately one coat using a dab and swish method to distribute the glitters on the nails. Some of the glitters wanted to clump together but they separated easily with a little coaxing from the brush. I then topped my nails off with two layers of top coat for a smoother finish on my nails. 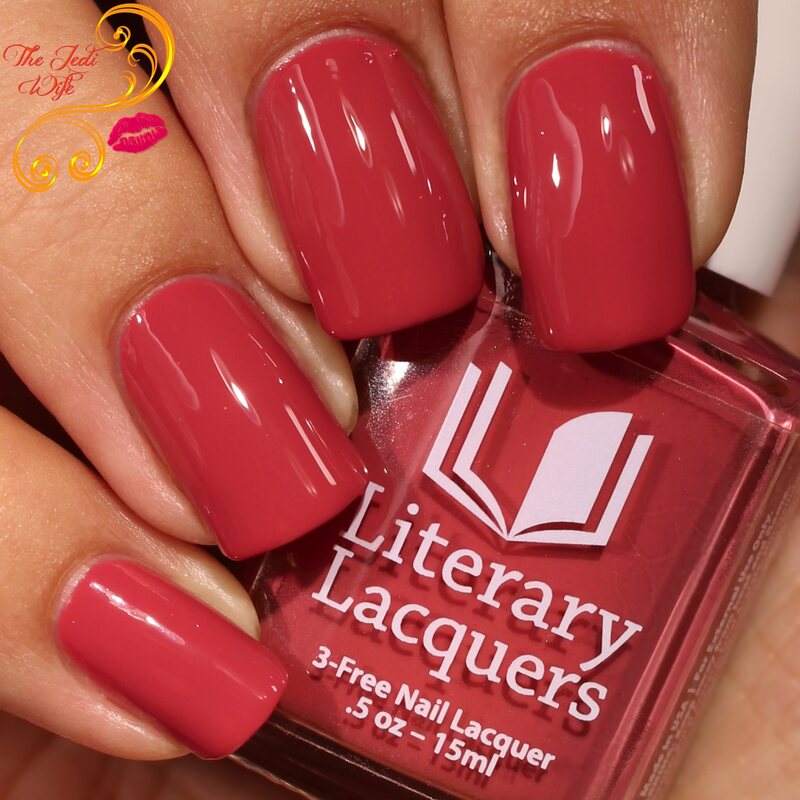 As I mentioned previously, these shades are available for purchase now at LiteraryLacquers.com. Each of these polishes retail for $10. Do you have a favorite shade from this duo? 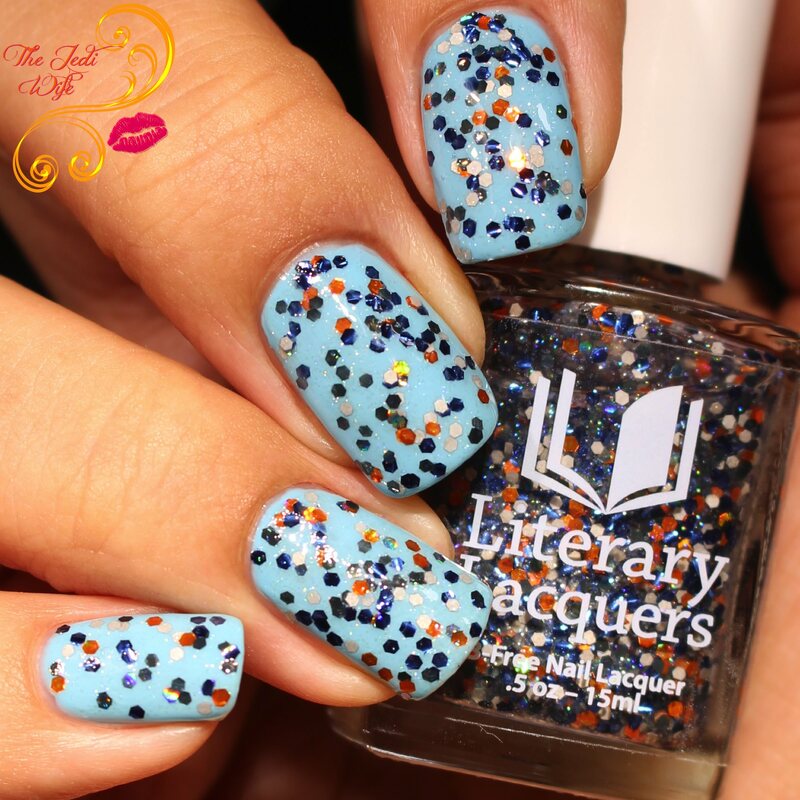 Would you like to see more creme and glitter options from Literary Lacquers? I'd love to hear from you! What beautiful polish colors! I love that the sparkle is in a hex shape. It's different, yet fun and great looking! I am a huge fan of rose colors on my nails. Its feminine and matches just about everything. Have fun this weekend. A makeup shown sounds fun. Have a goodtime! I have a few different shades of red because all shades of red are different anyways, lol. I like the variety of colors in that other one. I'm not a huge makeup fan, but I love nail polish. 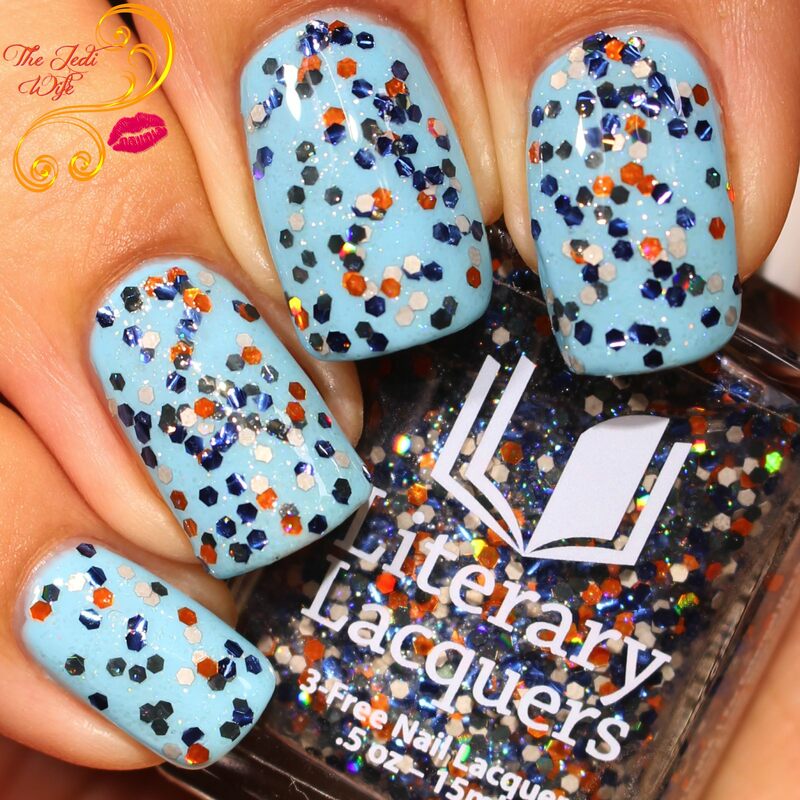 This looks like such a great color...and I love all glittery polishes. $10 for that hexagon glitter polish is a steal! I love how you put ot on light blue. It looks so good. Oh I love the Rose one! It kinda looks like the color I have on right now. So pretty! These are lovely! I'm a fan of the one with the sparkles, but the other is pretty too. The rose polish looks so lovely! I would like to give it to my gf. Oh my! I'm in love with all these shades. Moreover, the way you applied it so neat and lovely. Cheers!! I love the colours! my personal favourite is the blue with bits in it. in the past I've had this type of nail polish before and it was so tricky to get off. What such pretty and fun colors! I personally love the rose color! Gorgeous color! I love how you do that! I really wish I could have your skills. I love these colors! They are so beautiful. I would love to try them.